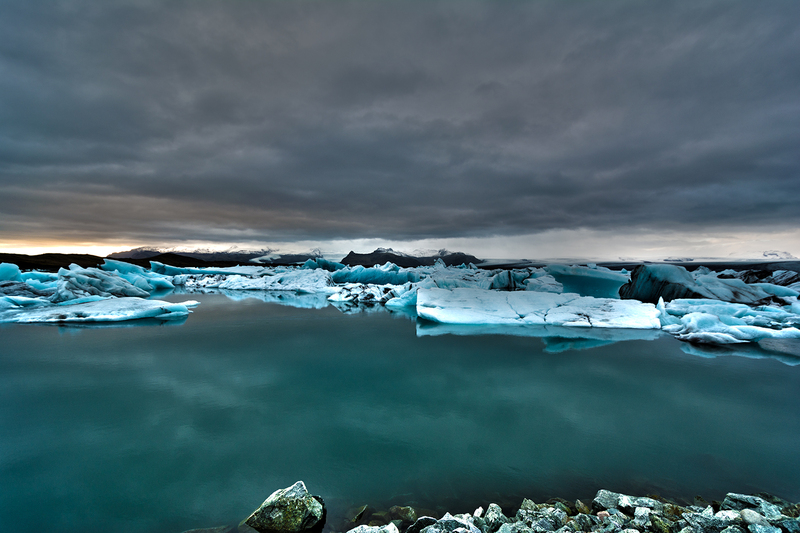 Jokulsarlon Glacial Lagoon in Vatnajokull National Park, South East Iceland. It's truly spectacular to see the ice flowing down into the sea, and you can easily access this lagoon from the nearby main road. The sound of the icebergs crushing against each other punctuates the silence - even though it's very popular for visitors, everyone seems to want to stay quiet to soak up the experience. Truly a great wonder of the natural world. 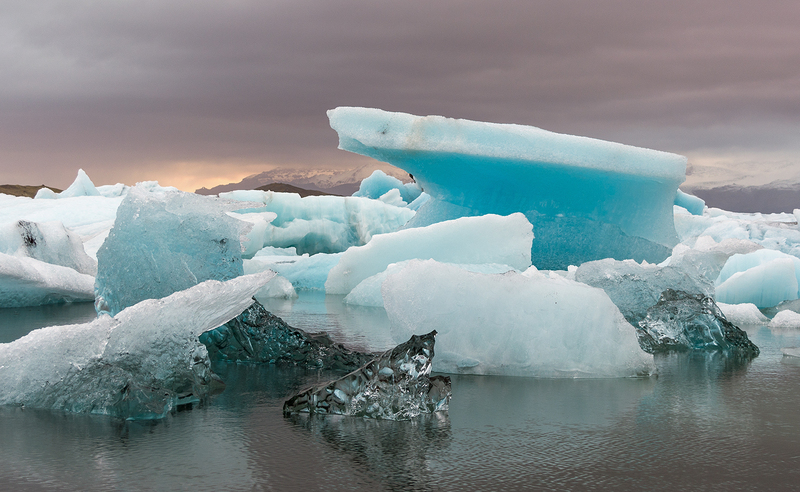 A close up of the Jokulsarlon Glacial Lagoon at dawn, showcasing the different textures of the ice. 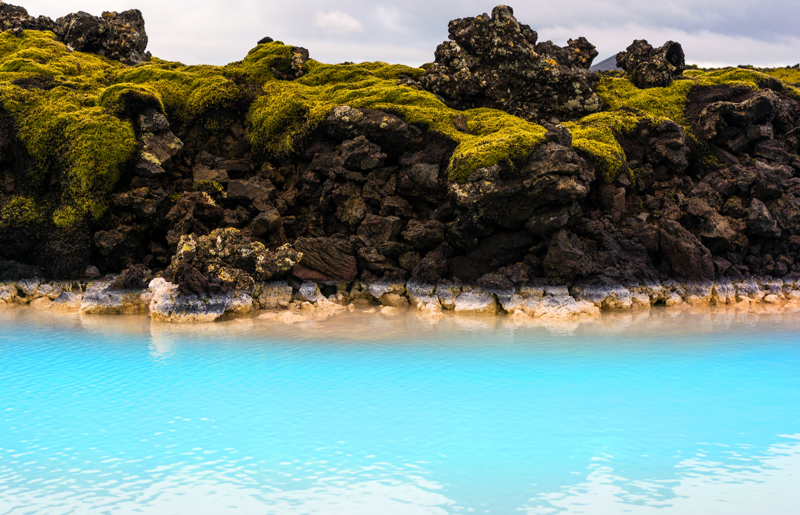 The Blue Lagoon in Grindivik, in the country’s south west – a must for any visitor to Iceland. Originally a geothermic power plant, which still exists in the background, locals later discovered that the water also had therapeutic properties and started bathing in it. Today it's a huge spa with restaurants and even a swim up bar. However a word of warning - don't put your head under the water or the rich minerals will make your hair dry and brittle for weeks. Svartifoss waterfall in Skaftafell in Vatnajökull National Park. 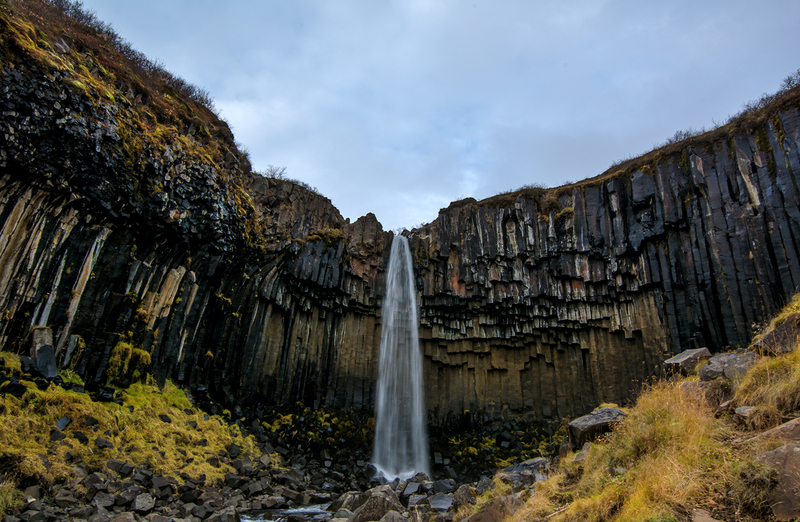 Also known as the 'Black Falls', this legendary waterfall is characterised by the towering black basalt columns that surround it. You can reach it via a two-kilometre walk from the nearby carpark, which also features two other cascades along the way. Some visitors actually don’t walk far enough and mistake one of the smaller falls for Svartifoss. Once at the impressive landmark however, it’s advised you don’t stand too close since the fragile black basalt columns can break off and plummet in the water at any moment. Icelandic horses in Haugar. This trio of horses were just a few out of a larger grazing herd. 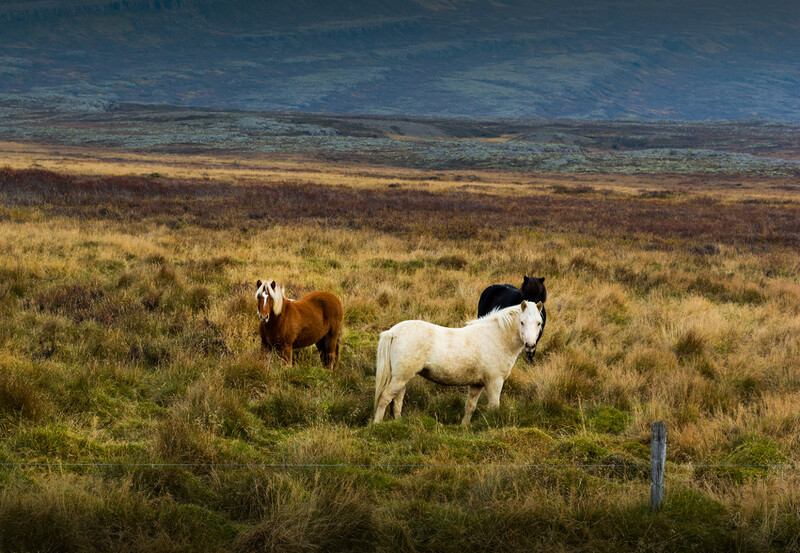 The Icelandic people are very reliant on their horses for transportation and farming, particularly in the remote countryside. 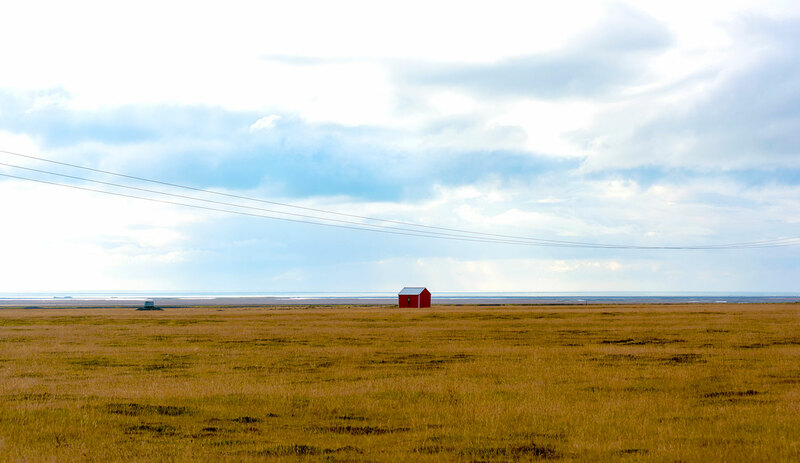 Adorable red shed amid the immense grass plains near Hofn. This splash of vibrant colour creates such a welcome contrast in the middle of such desolation and vastness. The incredibly beautiful coastline near Dyrholads. 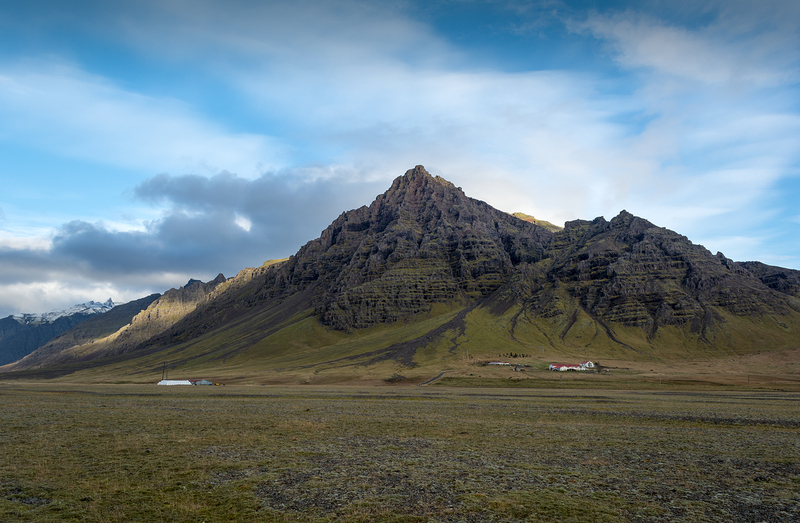 This area is just east of Vik, where the first Vikings lived in Iceland, and it definitely feels ancient. 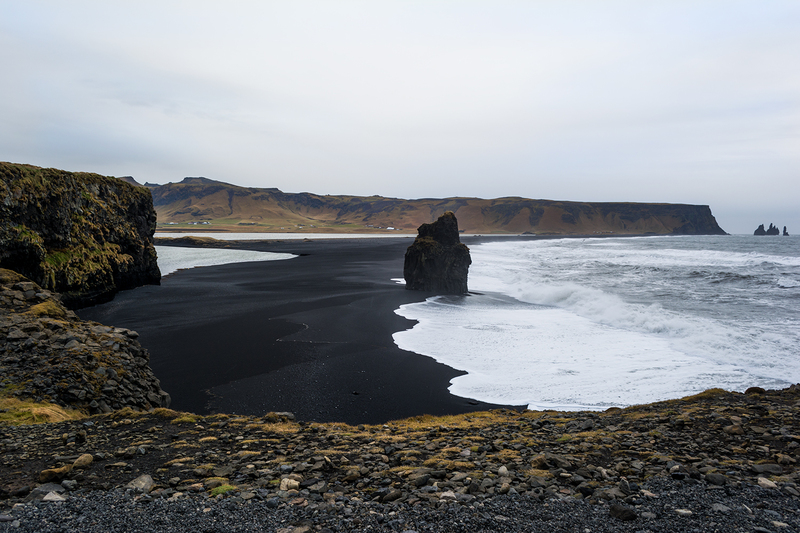 The black beaches have volcanic formations that are being wittled away by the thunderous ocean that pounds the shore. The force of the waves crashing is quite deafening and again highlights how powerful nature can be. Seydisfjordur township is at the end of the Seydisfjordur Fjord; an amazing 17-kilometre stretch of mountains, waterfalls and the occasional village. The Smyril Line ferry travels from the tip of Denmark and makes this town a great tourist attraction. It's such a picturesque place with its brightly painted buildings, surrounded by gorgeous snowcapped mountains and waterfalls. No wonder the smiley locals seem so happy and welcoming, waking up to these views everyday! 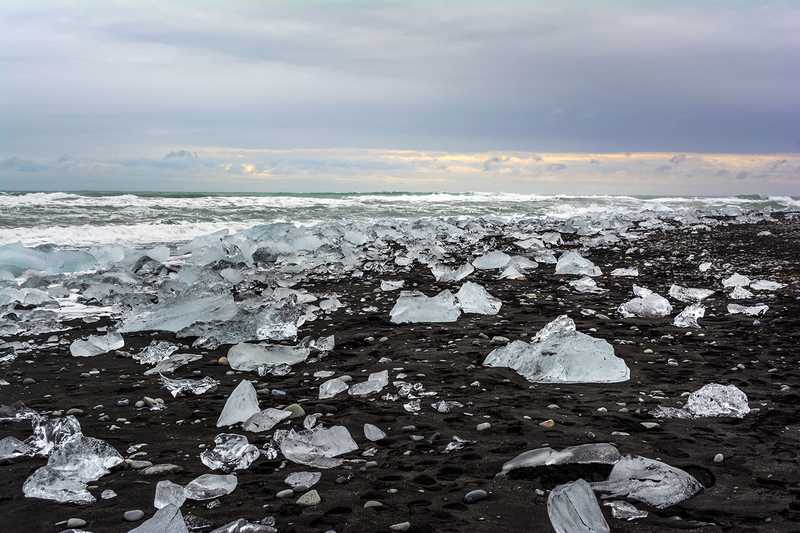 Ice diamonds on the stark black sand of Jokulsarlon Beach. This is where the ice flow meets the sea - some days the ice flow is huge and other days it's smaller. These shards of ice look like jewels contrasting the dark sand, and like snow flakes, each has its own unique colours and textures. Seydisfjordur Waterfall. 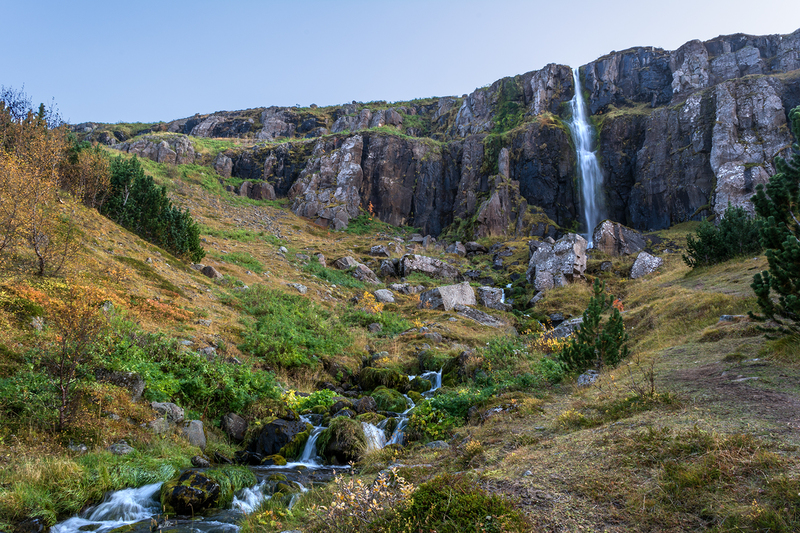 The walk to these cascades is surprisingly easy and continues up behind the township of Seydisfjordur. The views from the top are well worth the effort. 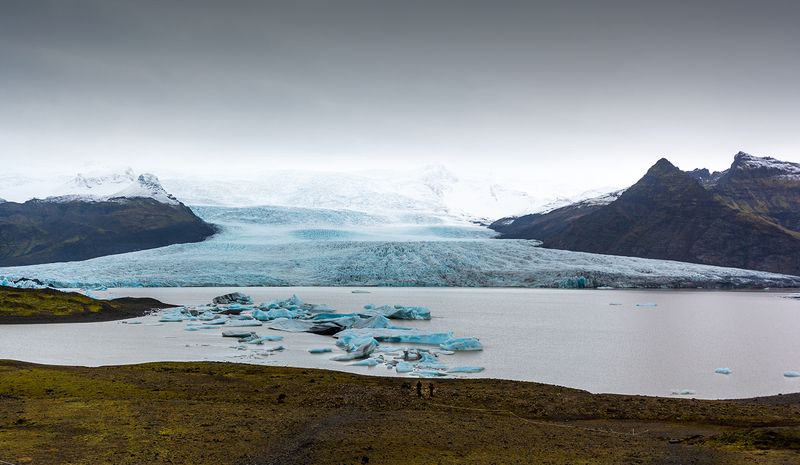 Fjallsjokull glacier is found surprisingly close to the main Ring Road in Iceland’s south east. It is incomprehensibly huge to see in person - the two people pictured in the foreground at the water’s edge highlight the intimidating size of the glacier. Coupled with the vibrant colours, this is yet another awe-inspiring masterpiece by Mother Nature in Iceland. Hali countryside, near Hofn in Iceland’s south east. There are countless majestic mountains like this across the country, however this shot gives perspective of how tall these regular peaks really are with the farmstead at the foot. If you look closely you can also see waterfalls in every large crevice in the mountains. Skogafoss waterfall in Skogar, southern Iceland. 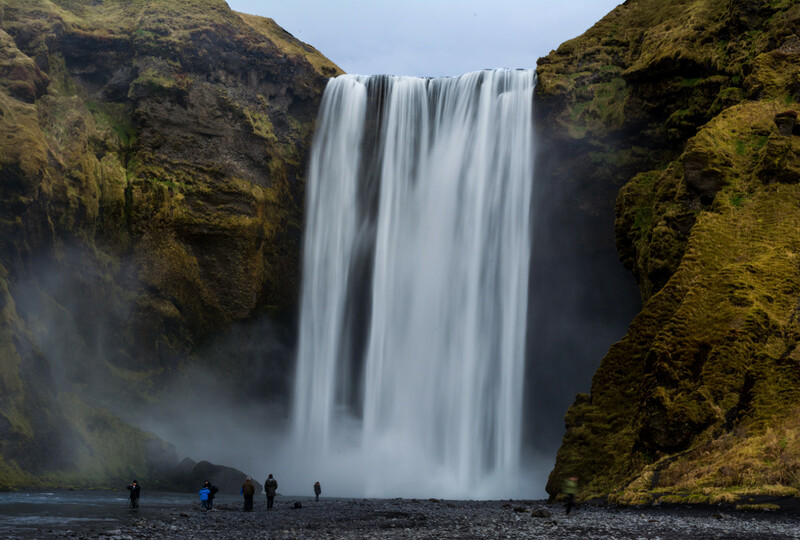 As one of the biggest tourist attractions in Iceland, it’s not difficult to understand the appeal of this beastly waterfall, as a thundering flow of water spills over the 62-metre cliff face into the deep pool below, then serenely flows down the adjoining stream. You can climb a very steep staircase to the top, where the views, the crispness of the air and the mist of the waterfall bring this sensory experience to a whole new level. The mighty Gulfoss waterfall in south west Iceland is the country’s most recogniseable natural landmark. 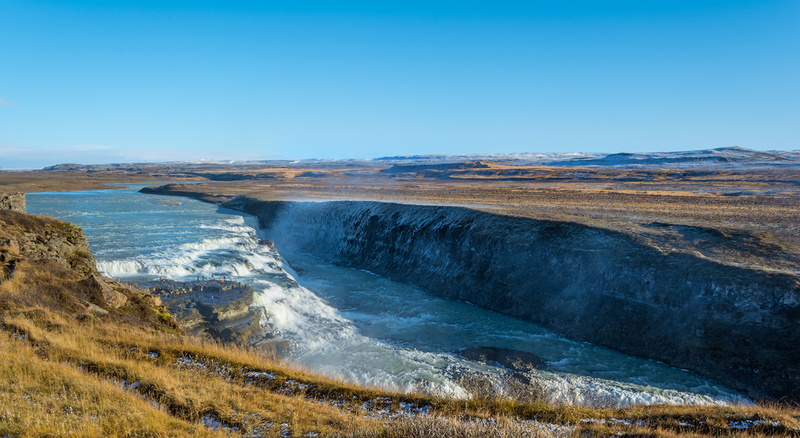 A mere photograph just doesn't do Gulfoss justice as there are so many angles to view this powerful and wondrous waterfall. There is constant eruption of mist that is sprayed upwards as the wide flow of water tumbles down ferociously into a narrow ravine. Rainbows are also a permanent fixture here during the day, adding to the photogenic nature of this landscape. 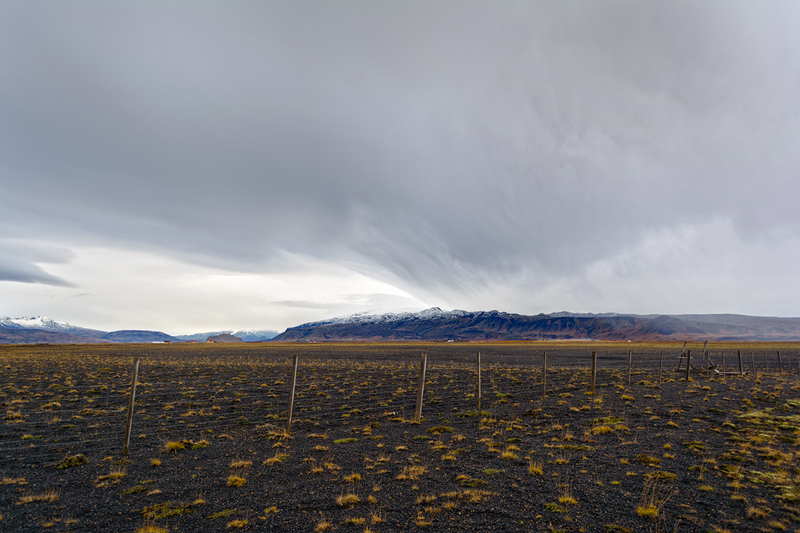 Looking back to Eyjafjallajokull in South East Iceland. Eyjafjallajokull is the volcano that erupted in 2010 stopping air traffic all over Europe for two weeks. It’s quite striking to see the amazing cloud formation here above the crater, looking like it could explode again at any moment. Adding to the spectacle is the contrast of the fields of lava punctuated with tufts of grass trying to come back through again. 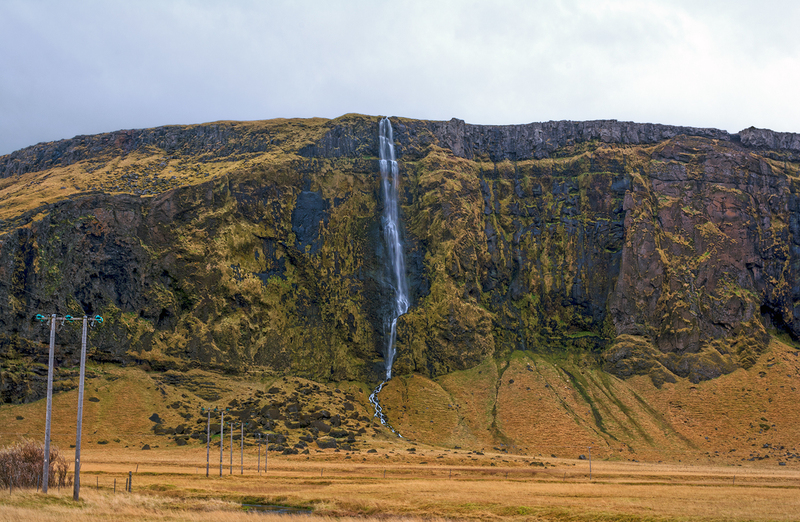 Next to the road near Steiner, this is one of hundreds of waterfalls that casually dot the landscape throughout Iceland. You can see how tall it is by the tiny sheep grazing on the hillside way down below. From glacial floodplains and icy mountains, to thunderous volcanoes and otherworldly waterfalls, Iceland’s diverse landscapes are as varied as they are downright spectacular. Here photographer Tracy Ryan captures some of the Nordic island’s most impressive vistas. Since the beginning of my photography career, I’ve always been fascinated with the Aurora Borealis. So after being told for years that Iceland is the best place to witness the spectacle (particularly at Jokulsarlon Glacial Lagoon in south east Iceland), I finally journeyed to this Nordic gem. I knew it was a beautiful country but I wasn’t prepared for just how striking and vastly different the landscape is at every turn. In this collection of photos I wanted to capture just how magical the Iceland landscape is, in addition to the well-known northern lights that flicker in the nighttime skies. What really struck me about this remote and wild country is the magnitude of everything. The mountains, lakes, glaciers and waterfalls… all are enormous feats of nature that far surpassed what my imagination could have conceived. Thanks sooooo much Andrew. 🙂 You just have to go, it’s absolutely amazing!